Prove your penetration testing skills, and get certified! 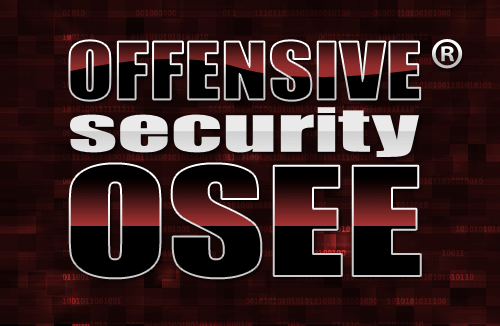 The OSEE examination consists of a select number of remotely-hosted systems containing various unknown vulnerabilities. The successful candidate will demonstrate their ability to research and develop exploits for the given target systems through reverse engineering, assembly and disassembly, drawing on their exploit experience while thinking laterally. The examinee is expected to submit a comprehensive report, containing in-depth notes and screenshots detailing their methods of exploiting each of the assigned targets. An OSEE is able to face a system with unknown vulnerable software, reverse engineer it to locate the problematic code, and think creatively in order to develop a functioning exploit under various Windows operating systems, up to and including Windows 7 and Server 2008. Evade DEP and ASLR protections. The only way to take the OSEE certification exam is to first complete the Advanced Windows Exploitation course.